We really hate to do this to you but there are a few more things you should know about taking care of your lawn this fall in order to ensure it thrives next spring. We’ve already disclosed to you that reseeding in the fall can be extremely beneficial to you and your grass. However, there was one small detail we forgot to include: your grass seed needs to be good grass seed. Sure, it can be very tempting to buy grass seed that is half the price of its competitors but the truth is, there is a reason that seed is so modestly priced and that’s because it isn’t as good. In case you weren’t aware, grass seed is grown in fields just like any other crop. This is why some are better than others. Some farmers do not clear their fields of weeds before planting. These weeds can make their way into a bag of seed you purchase, and are subsequently removed during a series of processes. Some farmers are better at cleaning their seed than others however, resulting in a higher quality seed. The best way to prevent getting a poor bag of seed is to examine the packaging closely. Bags that indicate a low level of weed seed, other crop seed and inert matter are going to provide the best and healthiest grass. Germination levels should also be examined. If a bag claims that the germination levels are greater than 80%, you will also have better grass when you lawn begins to grow next spring. 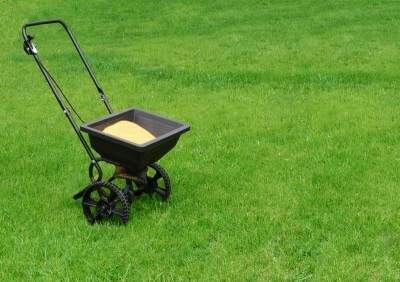 Overall when it comes to seeding your lawn this fall, the most important step is to be thorough. Understanding the type of seed you are putting on your grass will make all the difference in the type of lawn you end up with once the warm weather returns.